He left the West at the age of seventeen, leaving behind a rootless past and a bloody trail of violence. In the East he became a wealthy financier—buying up enough businesses to create a small empire. Now, suffering from incurable cancer, Joe Kettleman returns to a remote cabin in New Mexico to die alone. But when death takes it’s time and Joe outlives his supplies, he’s forced to take a perilous journey through the Bisti Badlands. Two days into what was supposed to be a five day trek, Joe comes across a town. A small city, really. Right in the middle of nowhere. And it’s not on any map. Is This Book 2 of the Breaking Series? No. Not really. Each book tells a complete story and can stand alone. That said, Breaking Destiny is a sideways companion to Breaking Gravity. The two adventures are taking place at the same time, each explores a different “scientific” discovery, and each follows a different set of characters. It does not matter which story is read first, but I recommend Breaking Gravity since it was written first. Both stories–both scientific innovations and both sets of main characters–will come together in a third book, Breaking Everything. I like the premise. I am willing to be an alpha reader. I am not a journalist nor English major so I come with no great skills. Just an avid reader who enjoyed your first book. Oh this sound good! 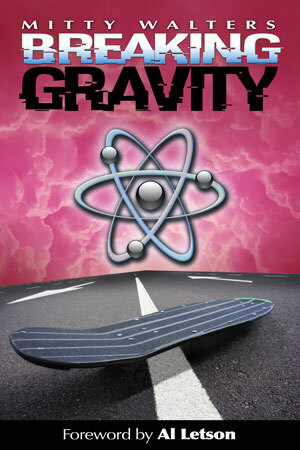 Can’t wait to read it!I loved Breaking Gravity, I’m sure I will love this one to! I too have just read Breaking Gravity and really enjoyed it. Just need to get the series itch scratched to know how it all pans out. Well done to date. I will leave a review.